Oh you just convinced me ! 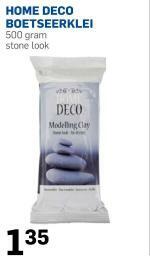 I thought about buy a sur heat gun is such a cool sculpting tool !!!! Coucou! 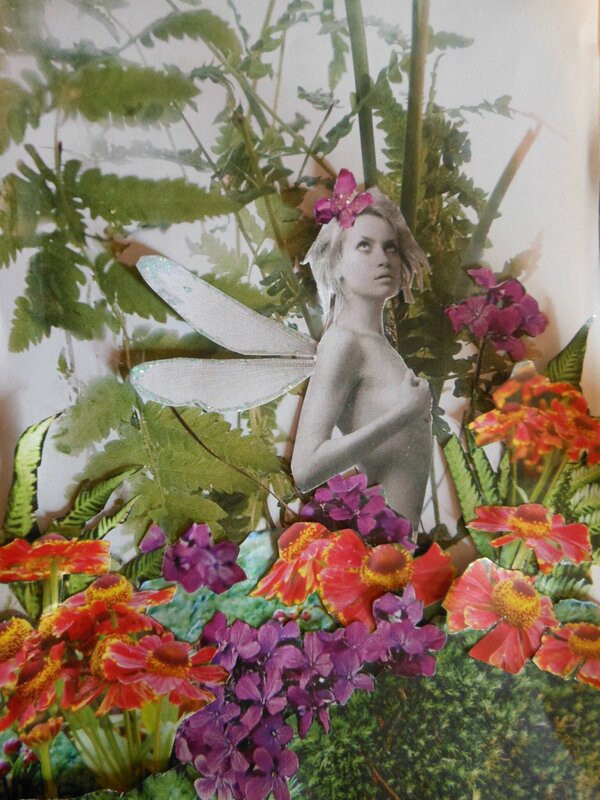 Lorsque je parlais de newsletter, c'était sur WIP : fairy getting haircut and wings !! 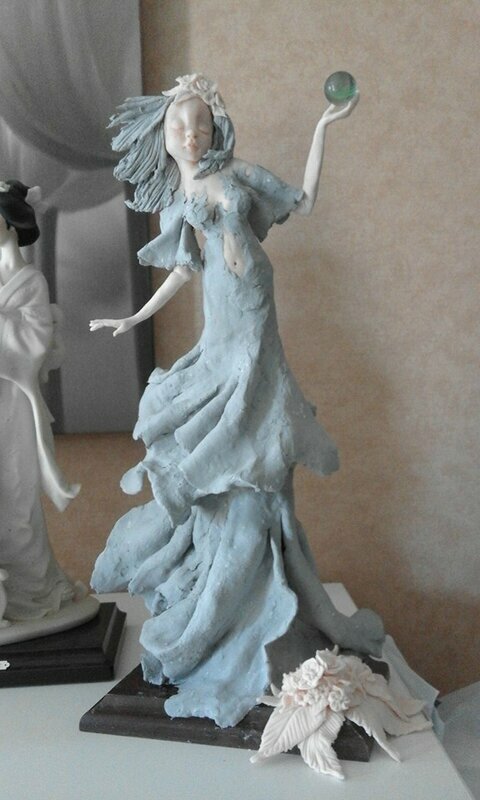 bonjour marine, Merci bcp pour ta visite sur WIP : fairy getting haircut and wings !! Extra!! 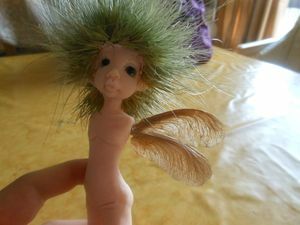 J'adore ton blog et ce que tu fais avec sur WIP : fairy getting haircut and wings !! 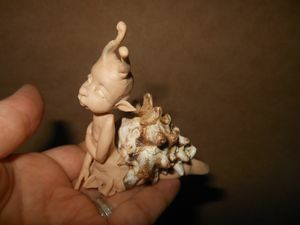 I was really impressed beacuse the clay ended up to be marvelous !! 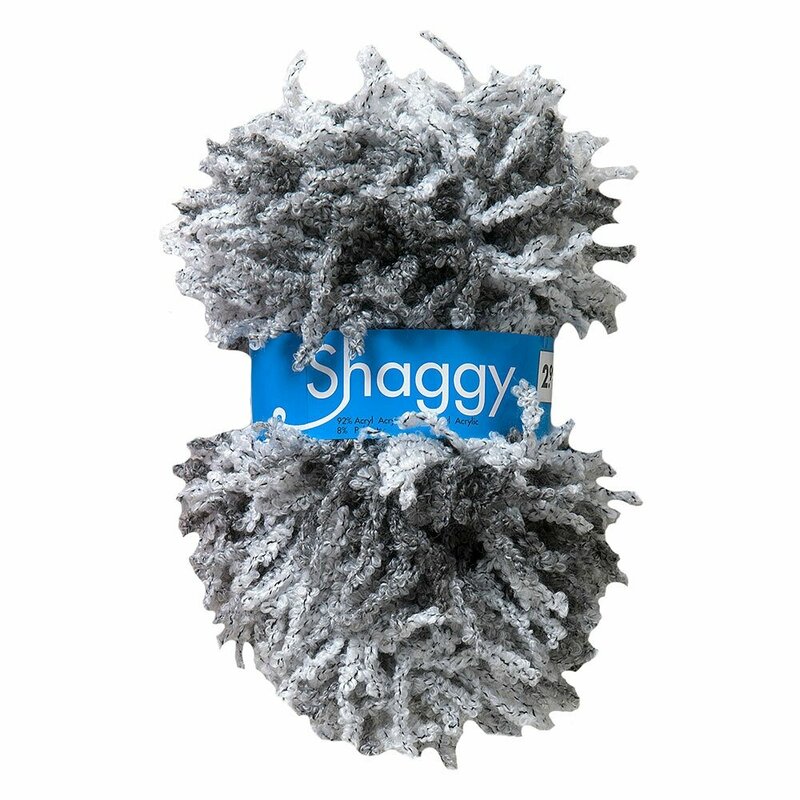 Soo nice to work with ..its easy to smooth , kinda elastic...its doesnt crumble thats for sure !!! 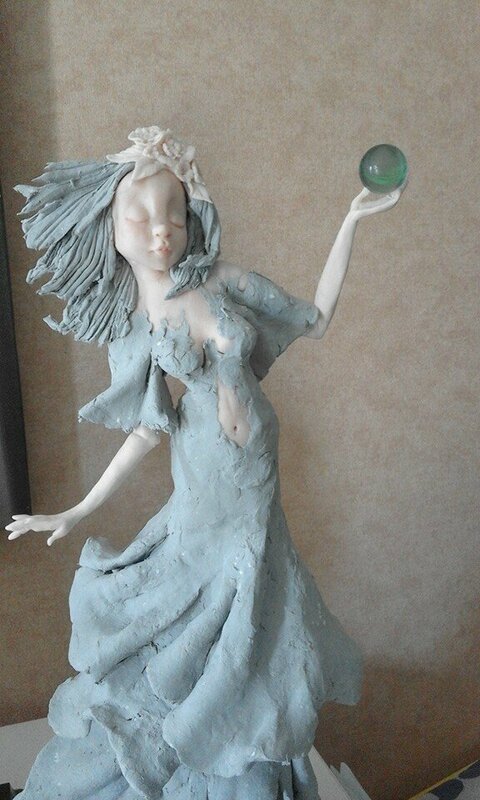 The clay allowed me to create the impression of movement"
So this figure isnt finshed yet !! 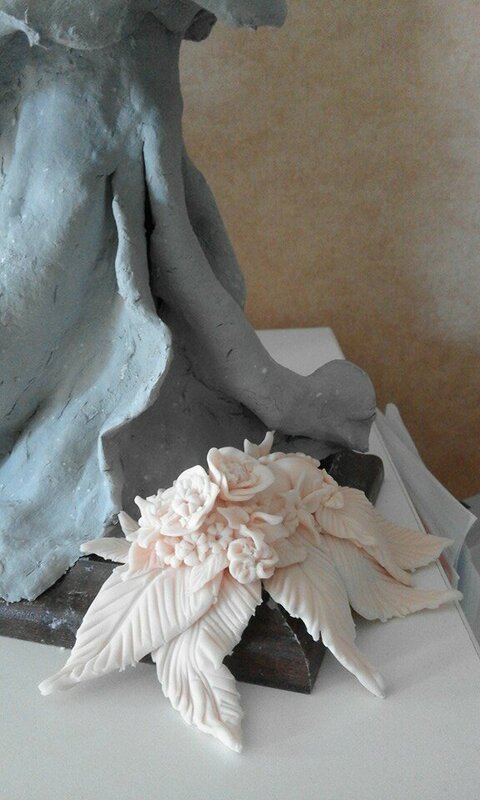 still need to add some extra flowers ....and because I fixed all polymer clay parts with the heatgun , I still need to fire this whole creating one time in the oven to be sure the clay is cured as it should !!! ... I was very happy to finally finish a doll ment for a contest in Holland. 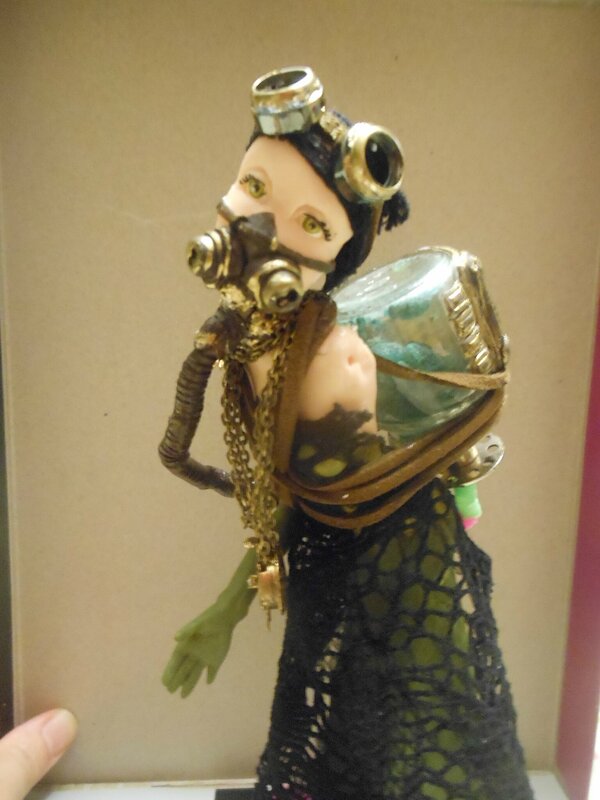 The "theme "of the contest was "masquerade" and dont ask where it came from but I though of a very trash stampunk doll ...not really my style ahhaha....anyway this doll was a realy blast , soooo fun to make !! 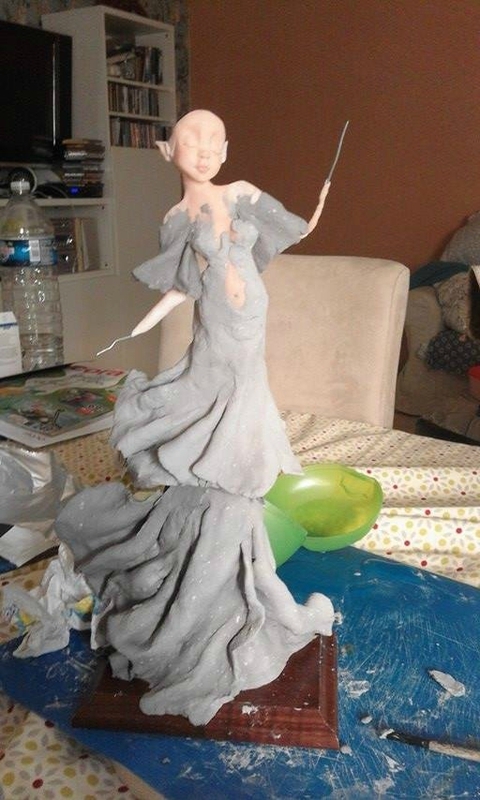 The lower body ( dress) was made of air dry clay . I smoothed the edges with a wet paintbrush and let it dry for a few days . 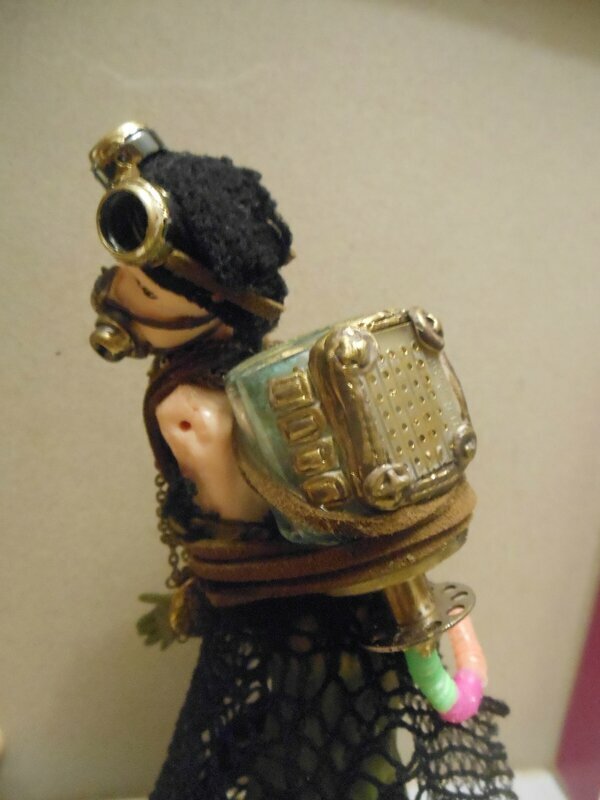 Then I made the "steampunk" elements with bits and pieces and unified the color with brown paint and gold metallic marker . The gas mask was made with clay and tiny bells, the breathing tube was made with the bendable part of a straw and the aerochamber was a tiny glass bottle put upside down . 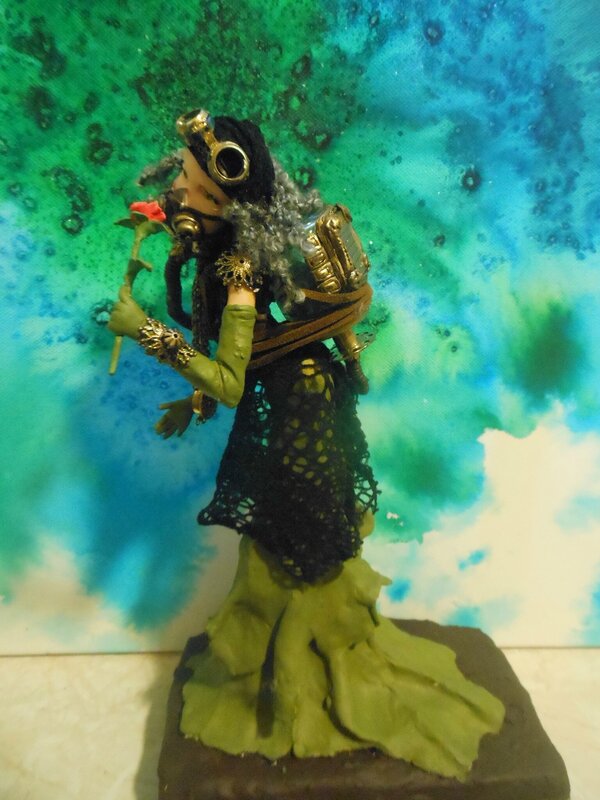 The arms and the flower are made of polymer clay but added much later . The hair was made of pieces of fluffly-like knitting thead I bought at Zeeman . 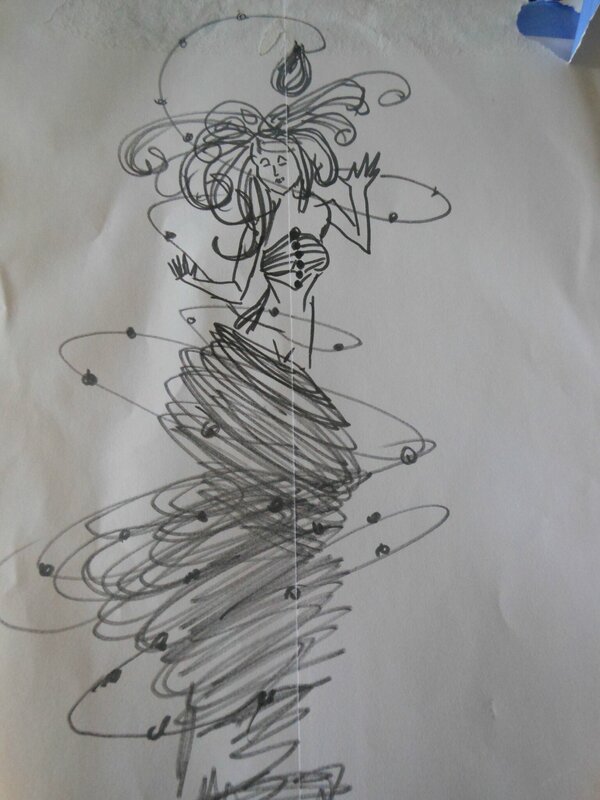 "Chakra Swirl ": my idea was of making a woman caught in a magical swirl of precious stones,representing all the chakras in the body . l'idee est de creer une femme dans une sprirale pleine de pierres precieuses representant tous les 7 chakras dans le corps. 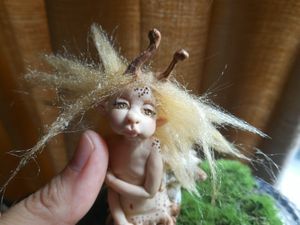 hey dear friends, sorry for not giving any sign of life for quiet some time ..well...eveything Ok here but Im trying to be an artist , a wife, a mother, a workaholic all at the same time which isnt that easy ... sounds familiar ??? 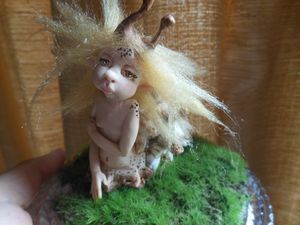 Unfortunately I have not made a single fimo creation ... nothing cmes out as I wish so they end up in the waist bin (poor thing ) .I only had some time to make fairy collages ...They are all given to friends. CONCOURS ! 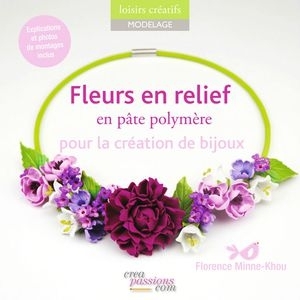 !gagnez le livre "Fleurs en relief" de Création my way !!! et participez à son super concours ! 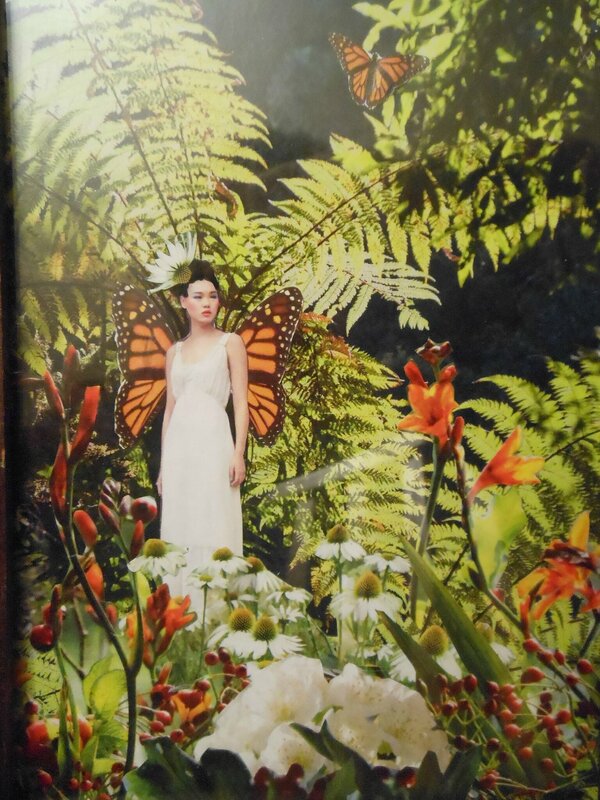 gagnez le livre "Fleurs en relief" de Création my way !! Comme pour son premier livre, elle organise une petite loterie promotionnelle. Sur Facebook: cliquer sur "Partager" l'article. 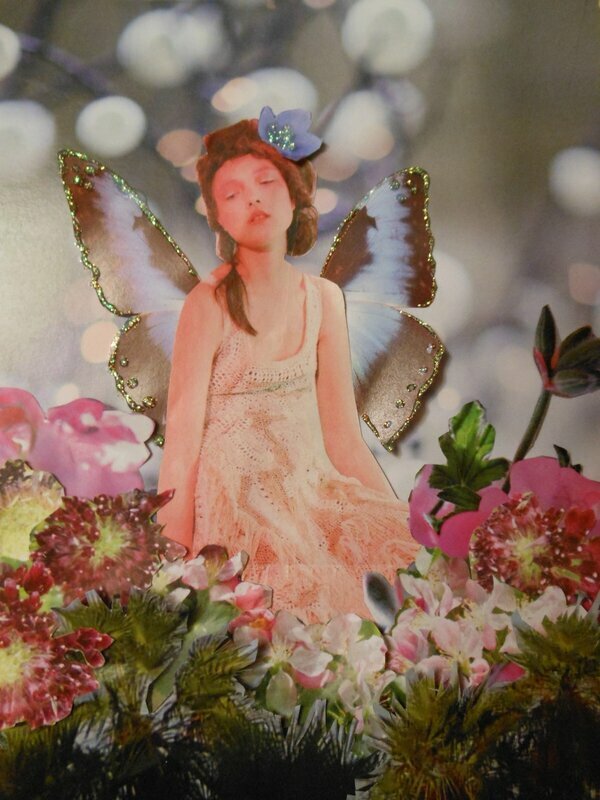 Donc, Visitez son blog :http://creationmyway.canalblog.com/archives/2013/09/17/28036676.html et bonne chance !!!! 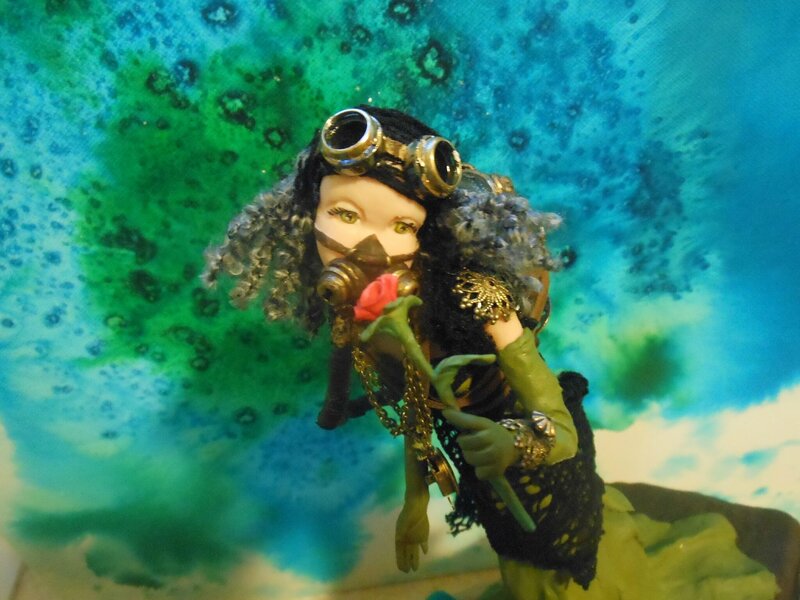 She is completely made out of polymer clay ( Fimo ) and the shell on her back is a real one . Her body is painted with gouache paint ( not the ideal paint for polymer clay , I know, but I really like working with them !! ) . 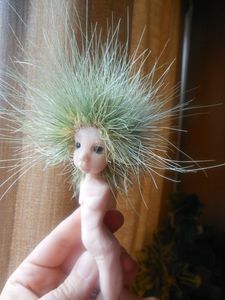 The hair are tiny plugs of artificial fur . 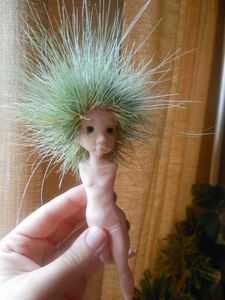 The grass is artificial too , but looking very real huh ?? 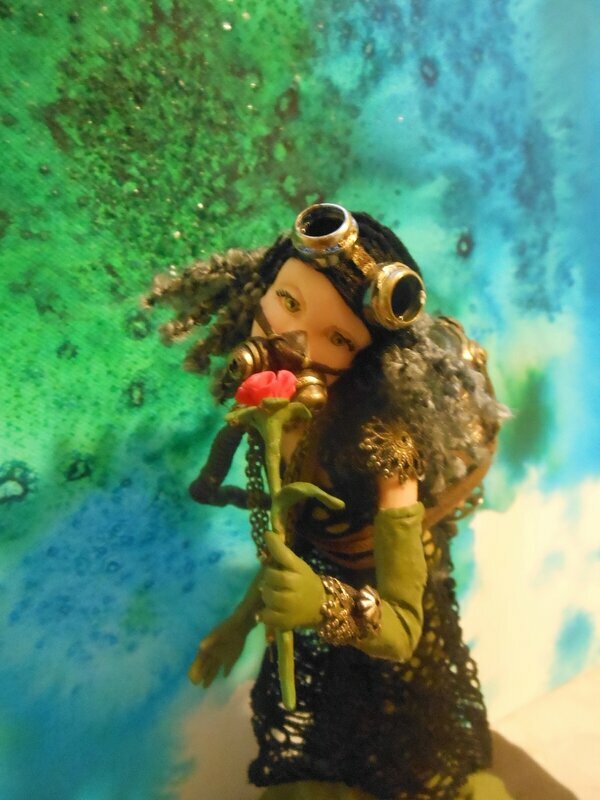 Elle est complétement faite en pate polymère ( fimo) et la coquille est un vrai exemplaire . Le corps est peint avec de la gouache ( qui est , c’est vrai, pas très idéale pour peindre de la pâte polymère mais moi j’adooooore travailler avec ). 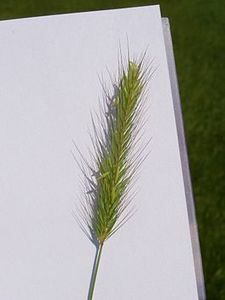 Les cheveux sont en fait de petits bouts de fourrure artificielle et l’herbe sur laquelle elle repose est artificielle aussi mais elle à l’air vrai , non ? 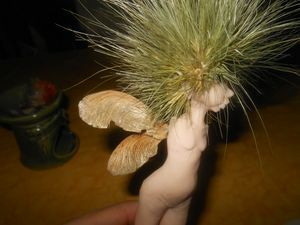 WIP : fairy getting haircut and wings !! 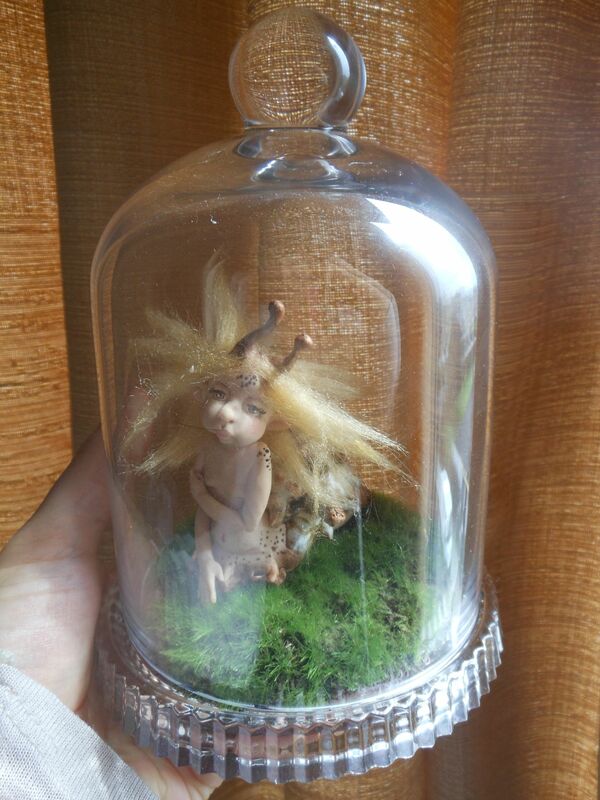 Thinking about the hairlook for this fairy I just came by a field full of « meadow barly » (thanks , Google hihi) . 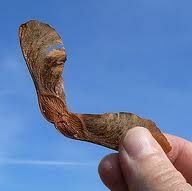 As I started working with natural material so why not continue on the wings …with maple tree seeds !!! Yeah !!! And its seems the ideal time of the year to find them .There’s just a maple tree in the urban playground my son loves to play hihih . They are falling down like helicopters…how spectacular nature can be !! Comme j’ai commencé à travailler avec des matériaux naturels pour les cheveux , pourquoi pas continuer avec les ailes …faites avec des fruit d’érable !!! Il semble être le temps idéal pour les trouver . Il y a juste un érable dans le parc ou mon fils adore jouer …IDEAL !! Ils tombent comme des hélicoptères vers le bas …la nature peut être spectaculaire , il faut le dire !! 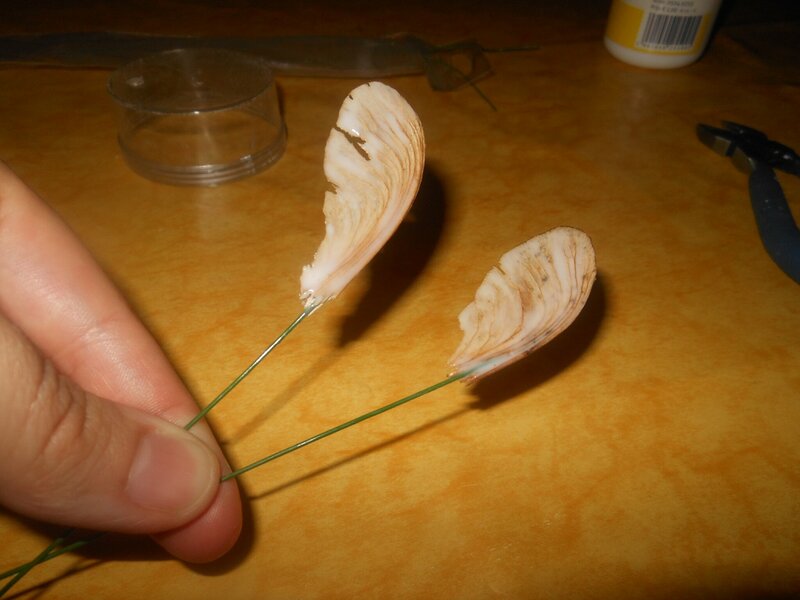 Now my challenge consists in transforming these seeds into fairy wings …When removing the ball shaped point I discovered a hollow space where I could introduce a metallic wire . 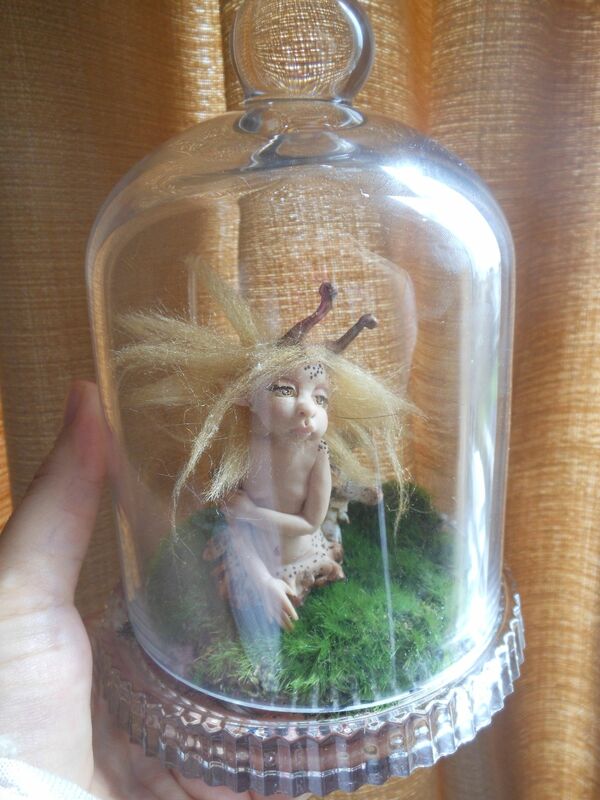 The seed is sealed and strengthened with varnish but because I had none I used white glue instead ..works fine too !! 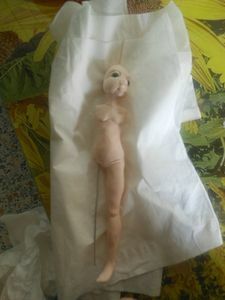 En enlevant la petite boule à l’extrémité , j’ai découvert un creux dans laquelle j’ai pu introduire un fil en métal . Le fruit est alors protégé et renforcé avec du vernis mais comme je n’en avait pas , j’ai utilisé de la colle blanche à la place ..marche très bien aussi !! heat gun is such a cool sculpting tool !!!! 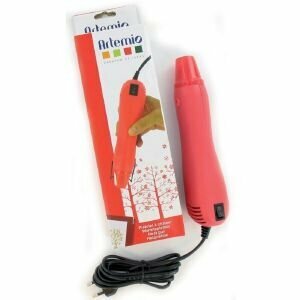 Ok , a heat gun is normally used for embossing but this great tool is also great for making dolls . 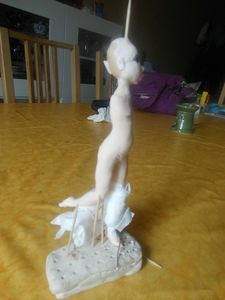 When I make complex sculptures I need to work in several stages and every stage needs to be baked off so it would not collapse while sculpting on it ...and sometimes its just for baking a single leg ..what a waist of time and energy . 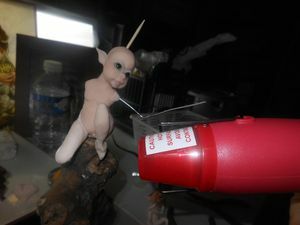 Well, the heat gun gives you the possibilty to bake off a a precise spot without using the oven and allows you to bake the arm you just have added and you dont need to put the complete figure into the oven , how cool is that !!!! 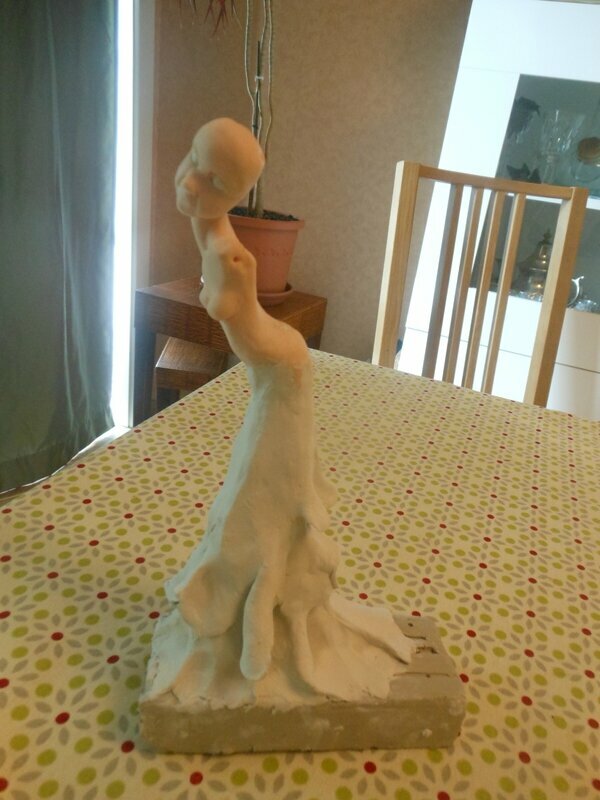 It take juste a minute or three to prebake a small head . - the heat gun is very hot so dont put the gun too close to your figure (and your fingers hahaha) because it may get burned bad !!! 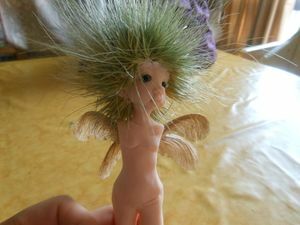 - dont touch your figure just after heating !! 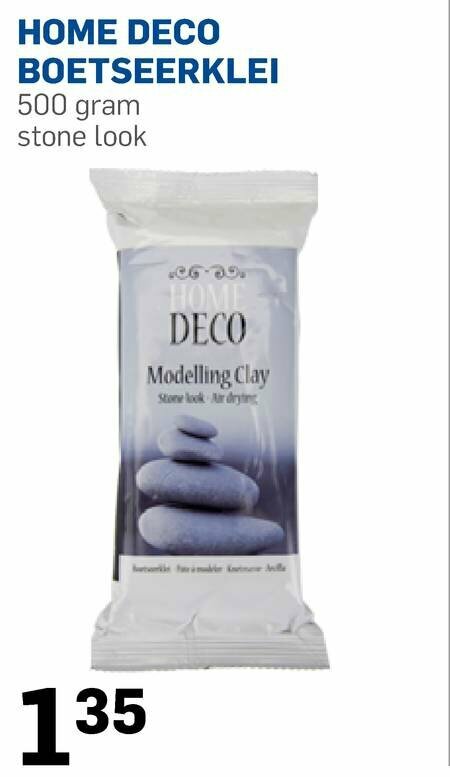 Let you figure cool off before you pick it up again , the warm clay is very soft !! 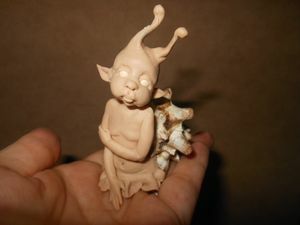 - Be carefull :the polymer clay is "prebaked" so its not fully cured and although it feels hard , it remaines very fragile and can break off very easily so handle your figure with care while sculpting on it again !!!!!! This means that , curing with a heatgun doesnt replace baking with the oven. 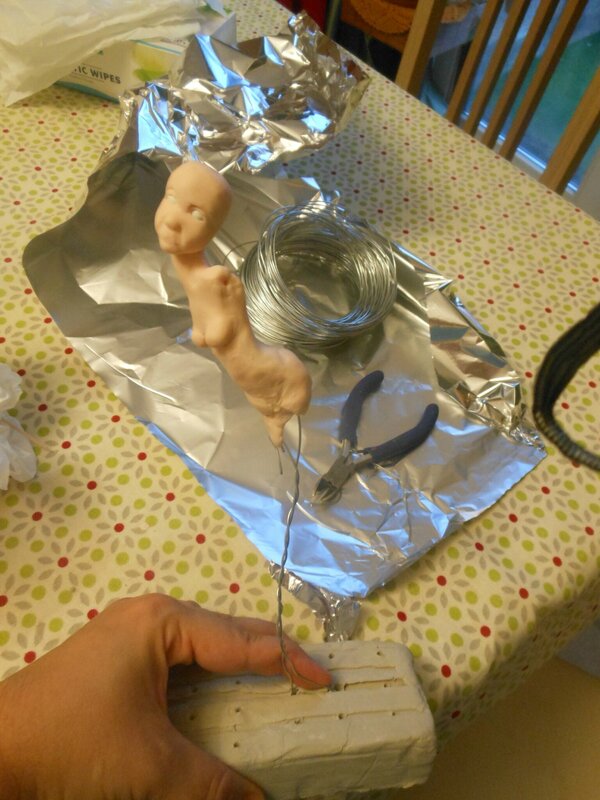 Just use the heatgun for prebaking in between the sculpting and then you need bake off your complete figure one last time in the oven as usual !!!! 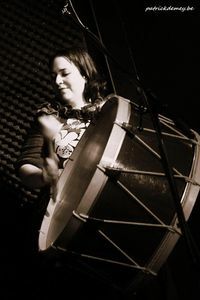 OOOOps did'nt I tell you that , next to sculpting , I also sing and play percussion ??? 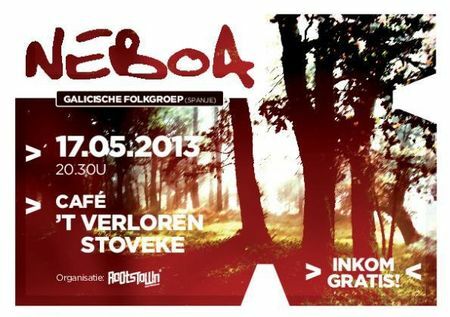 well, let me present you NEBOA (https://www.facebook.com/neboagroup?ref=tn_tnmn )!! 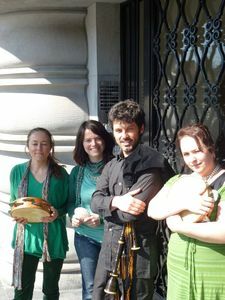 And yep, we are in concert this friday in Aarschot . The entrance is free !! !